My wife suggested that I should stay overnight after work in Greenville, SC, where I was flying out of in the pre-dawn hours instead of from my local (tiny) Asheville airport. Flying out of Greenville instead of Asheville would save me hundreds of dollars in ticket costs, but I would need to drive the sixty or seventy miles to Greenville from home in the dead of night to have sufficient time before my 6:00 am flight. Harsh. She then had an even better idea: she would also take vacation on Thursday and Friday and come with me to Greenville. Okay then! She left for Greenville after work and I already work at least a third of the distance to that city so she met me there. We had a nice Airbnb five minutes away from Greenville-Spartanburg airport, and we ate dinner at The Mad Cuban in nearby Simpsonville, which we had discovered near Greenville last January. I rose at 3:45 to prepare for my flight. If I had left from home I would have been up at 1:30. My flight out to L. A. was as pleasant as air travel can be in the hellscape we now inhabit. I had a two hour layover in Atlanta where I ate breakfast and got my connecting flight. The lady and her daughter I sat next to was good company on the flight as we actually chatted with one another. I arrived at LAX by 11:30 EST with chasinvictoria having gotten there just 30 minutes earlier. Since Mr. Ware would not arrive for another four hours, we had decided to investigate a store we had never been to before. 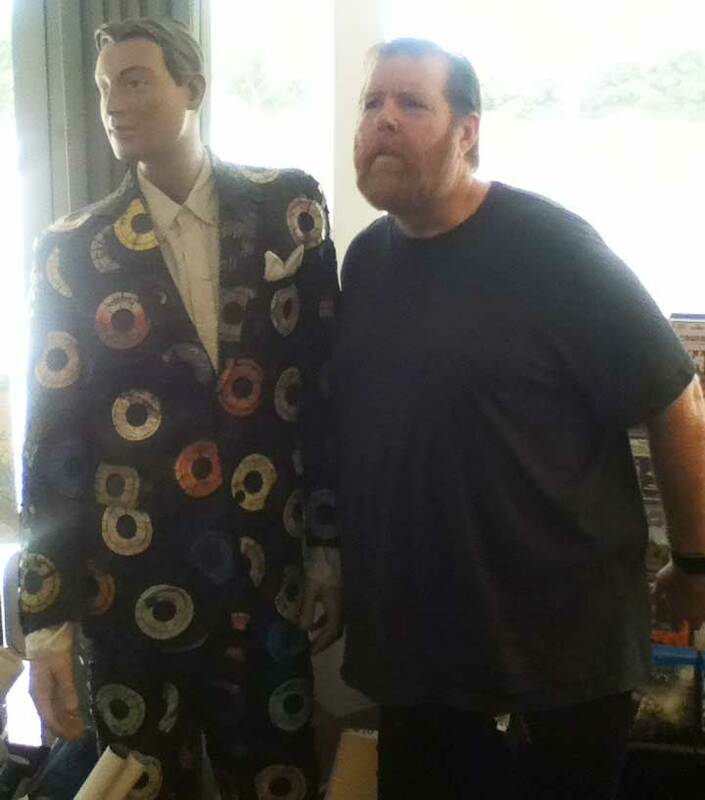 Mark Moerman had provided a list of his favorite stores and he mentioned that Soundsations Records near LAX was worth the trip. We could go there and while away a few hours while waiting for Mr. Ware’s flight. We picked up our rental and got down to the dirty business of really experiencing L.A. – from behind the wheel of a car! We easily found the store after parking right in front of it… for free [!] we looked around for eats. Nearby was a good coffee house where a nice sandwich could be found. Fortified, we hit the store on the other end of the block. 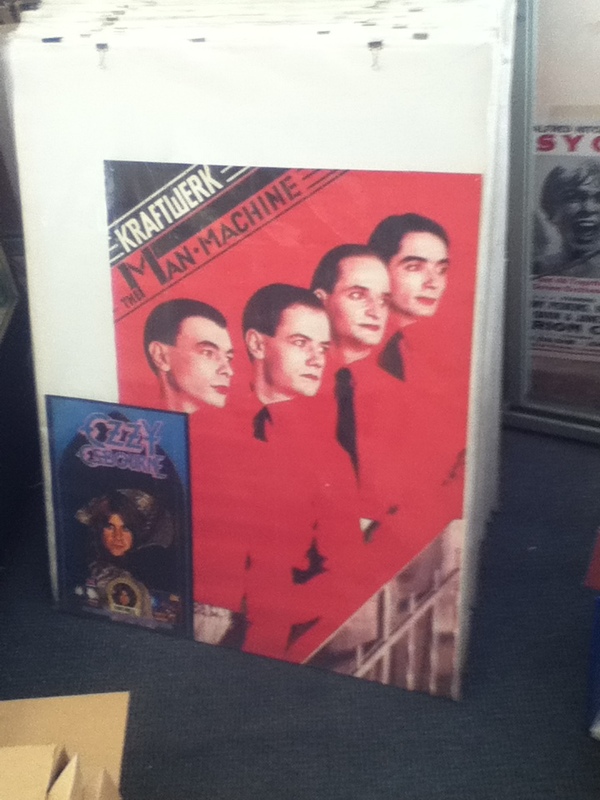 As soon as we walked in my heart was gladdened by the Kraftwerk “Man Machine” poster in the flip rack. A great sign! We hit the CD bins and at first, I was not seeing too much of interest. Chasinvictoria hit the Bowie section first and then was all over some Doctor Who seasons on DVD a that were selling for chump change compared to what he was used to. I was simply shocked that he didn’t already own them! I did not buy this on sight – am I ill in the head? I appreciated the decor more than the contents, at first. 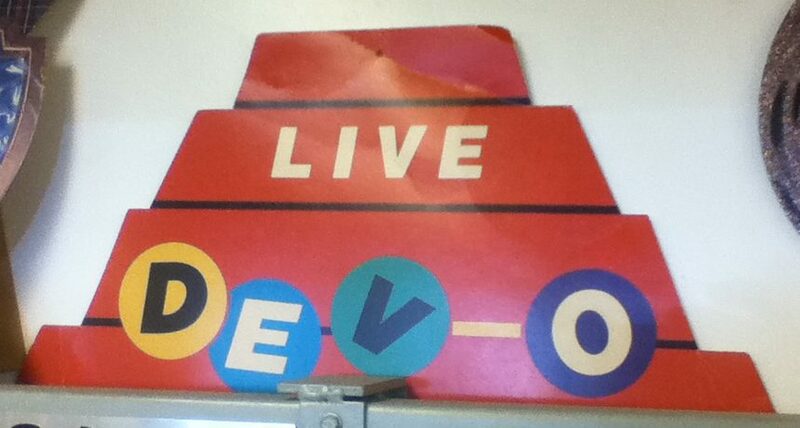 You don’t find the die-cut energy dome poster for DEVO‘s “Live” EP every day! 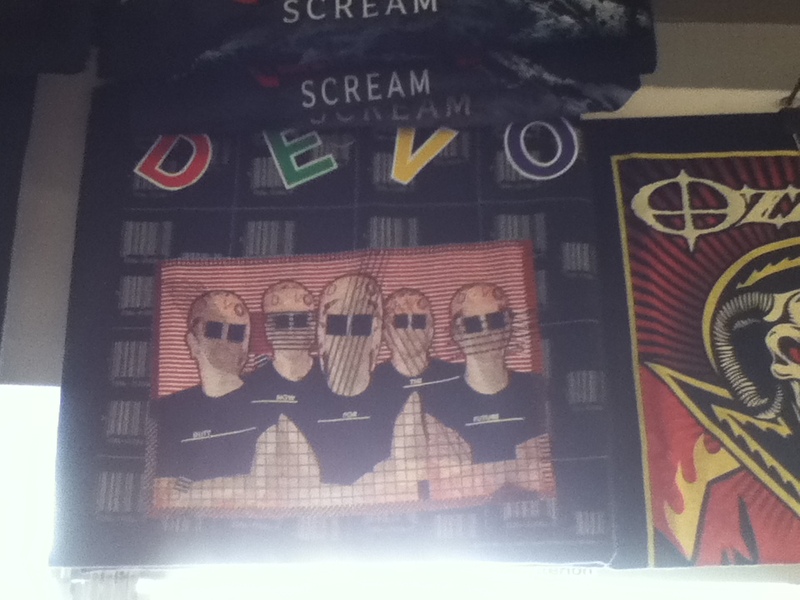 Speaking of DEVO …Gott Im Himmel!!! Up in the t-shirt area hanging from the ceiling was the finest possible black DEVO tee with the “Duty Now For The Future” cover art on it. Stunning!! And at only $20 it was undoubtedly bootleg merchandise. I have indulged a few times on such shirts in the past, like my Bowie ”Heroes” tee which has enhanced my life for 25 years. Particularly most of those years when a legit shirt of that design simply didn’t exist. But for some stupid reason, I didn’t act on my impulse. Why, momma, why? Once I moved to the hip hop and r+b bins, I finally found pay dirt. Even though I am the Post-Punk Monk, man does not live by [white] bread alone. 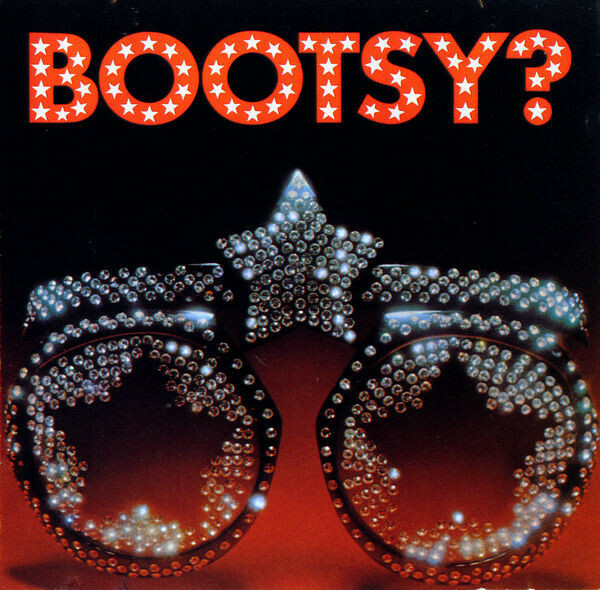 I was gladdened by the appearance of one of the two early Bootsy Collins solo CDs I did not have. 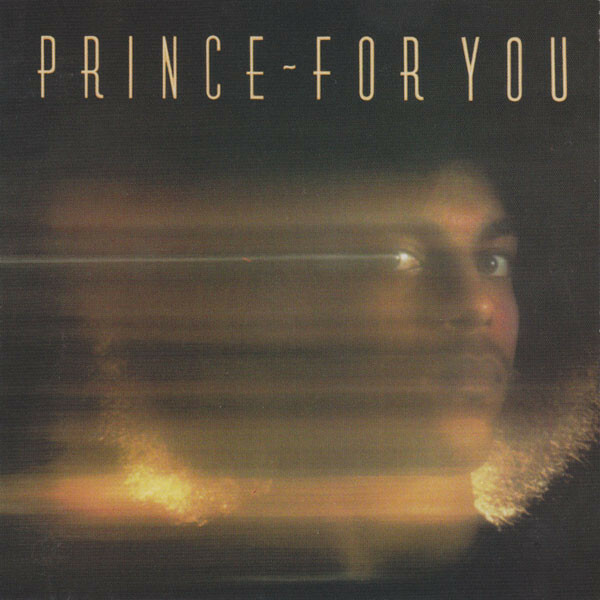 “Player Of The Year” was perhaps his finest solo hour, and I only had that on LP for years. I could now hear the amazing “Roto-Rooter” any time I wished. A CD would be far more advantageous! 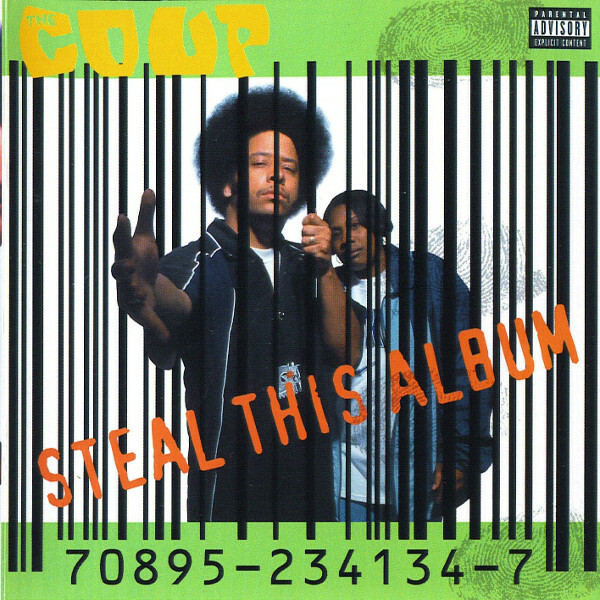 I next looked in hip hop for any CDs by The Coup. My wife and I were very impressed by the movie “Sorry To Bother You” and I thought that Boots Riley had made the film I had been waiting 30 years to see. As I began to look into this guy, I could not believe that I had never even heard of The Coup. My wife had been sampling their music and it needed to enter the Record Cell in all due haste. She is currently stuck on “The Magic Clap” from the “Sorry To Bother You” album, but the only CD on the place was “Steal This Disc,” so I bought that any way. Not Post-Punk but… YOW! We NEED this! While we were shopping, the location reminded chasinvictoria of his friend Peter, who used to live nearby before selling his place and moving off. I had met Peter once, in Orlando years ago. He Messaged Peter letting him know that were were shopping in his old neighborhood, and he quickly replied that he was in L.A. and not ten minutes later he joined us for some shopping! Who’d a-thunk it? We chatted while shopping and when I saw a copy of John Cale’s “Fear” I held it out to him and said this album could change your life. I was shocked to see that he made it his job to buy a copy, but not before sourcing the best of the recent remasters in the LP bins. Then he noticed that Eno was on it and positively glowed with confidence in his imminent purchase. Mission accomplished! Everyone should own that recording! Peter had to run and we wondered if we’d see him later on the trip. 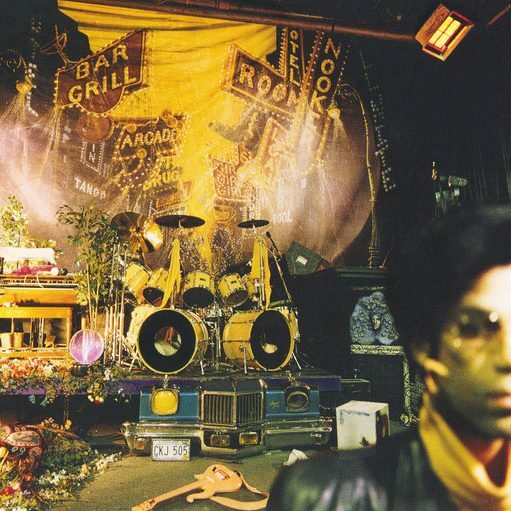 Then the Prince motherlode was struck! 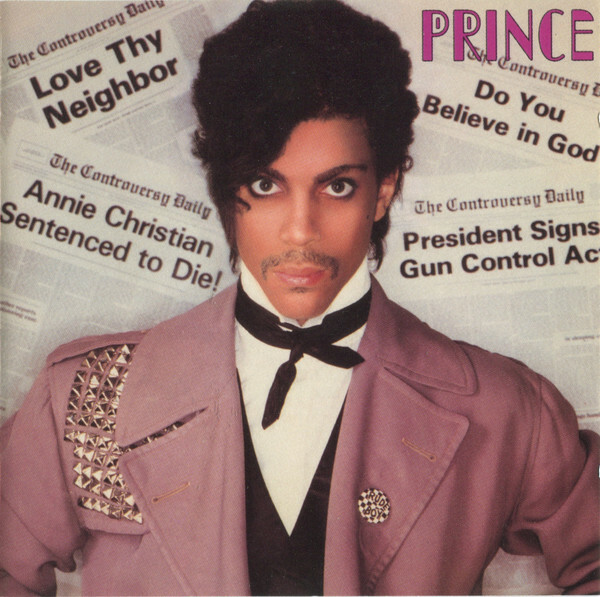 Cheap and vital copies of “For You,” “Controversy,” “Around The World In A Day,” “Parade,” ” Sign O’The Times,” and “The Love Symbol” were duly acquired; going a long way towards completing my Warner Brothers run of the purple one’s reign. 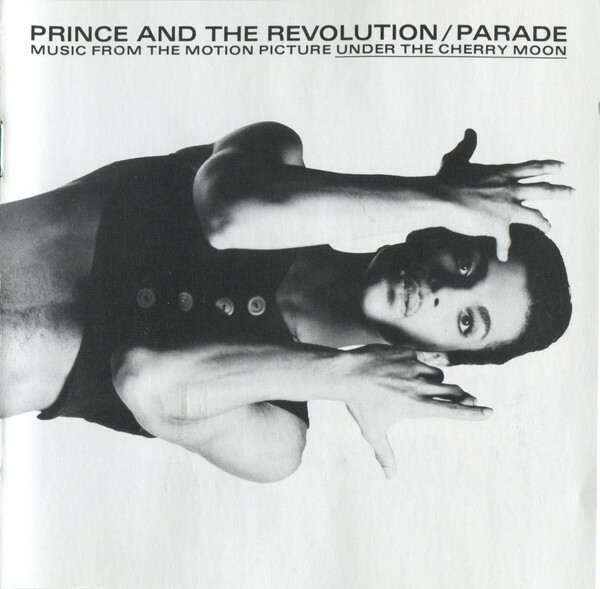 I used to have the USP 12” from “Controversy” [and wish that I still did…] but have waited a staggering [and pathetic] 38 years to buy a copy of this album!!!! 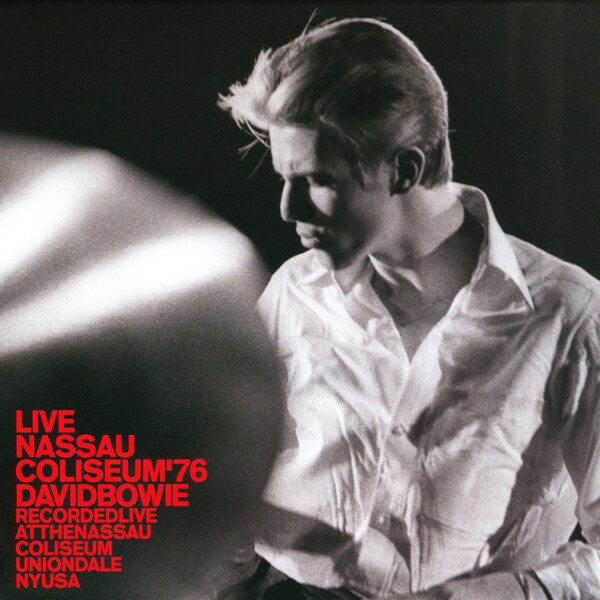 Additionally, I found a promo copy of Bowie’s recent stand-alone “Thin White Duke” show from Nassau Coliseum. I was glad to see that decoupled from the insanely priced “stationtostation” DLX RM box. Nine CDs for about $50. A small, but appreciated splash. We next decamped back to LAX to pick up our good friend Mr. Ware. We drove to LAX and collected him, then we went to home base. It was in the Santa Monica area in a nice neighborhood. Pretty much where I was hatched. The accommodations were spacious and well appointed with three beds in a good space. We had decided to buy food for breakfast to save time as much as money. Driving anywhere in the city was time-consuming. Our place was waking distance to a Trader Joes, so we looked and found a poke restaurant nearby. I had not had this cuisine before [I opted for vegetarian style], but it was delicious and easy on the budget. 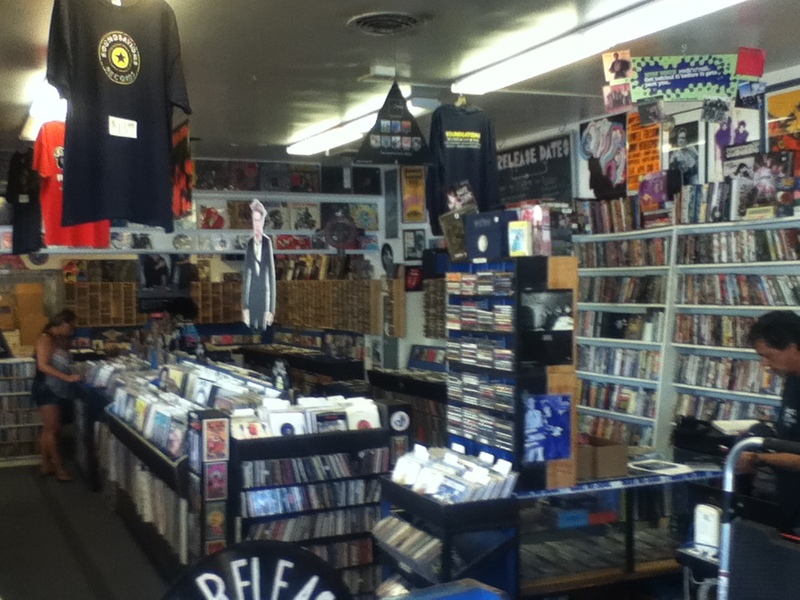 A not inconsiderable factor when doing an L.A. record crawl! Afterward we got breakfast food and walked back to the guest house. The twilight air was cool and refreshing. It was then time to take Mr. Ware to rehearsal. The studios were not far away in Culver City, and we arrived at the appointed time. This was a new wrinkle for yours truly. As I only enjoy and do not make music, I had never visited such a place. We entered and met the rest of the fine folks who would be playing the songs from the tribute album live. Bob Gaulke was there with his partner Peri Mason. Bob played guitar and Peri was a singer. Warren Bowman I had previously met. He was vocals and ukulele. Ken Heaton was another familiar face from Ron-Kon I. He was on guitar. The bass player was a new guy: Cary Berger. 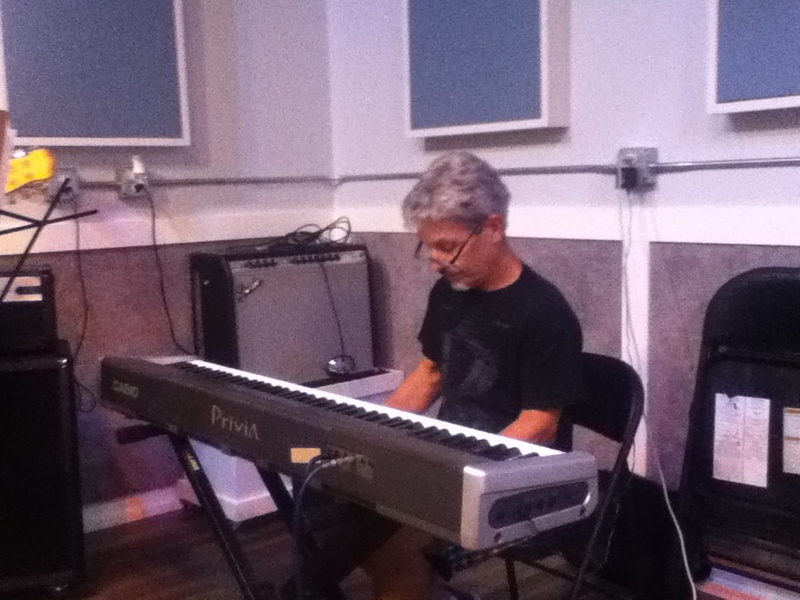 He was the guy who coordinated the accoutrements such as booking the show and the rehearsal studio. The drummer was tall gent named Jim McGrath who had drummed with Berger before. He was the only one there [besides Peri] who had not been friends with Ron. Mark Moerman was flying in the next night, so he would not be there this evening. 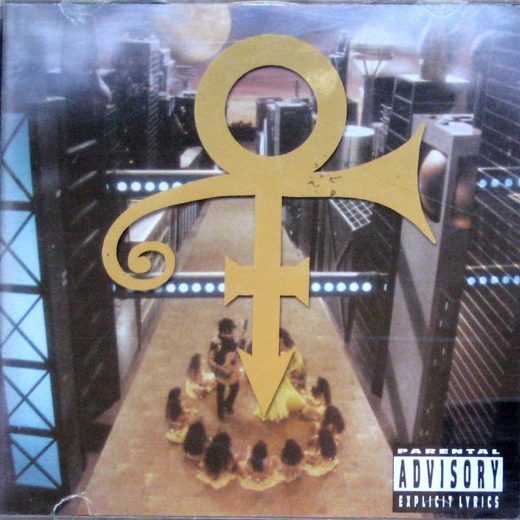 Since I had not yet gotten a copy of the CD which got released after the DL of “The Record Man,” I was hearing the tribute songs for the first time as the musicians were hashing out the arrangements. They moved pretty quickly and the material was all pretty much quirky, pop shot through with enough unexpected arrangement ideas to reflect Ron’s left-of-center bearing. The songs were gelling very quickly. Well, they had to! There was only five hours to lock these bad boys down. 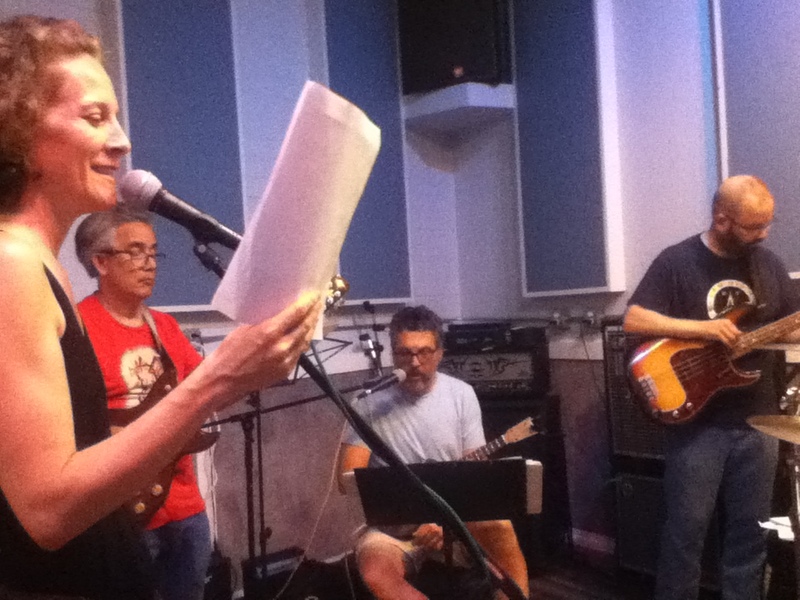 I was impressed at the wonderful vocal harmonies that Peri and Warren were singing. They dovetailed beautifully. As chasinvictoria and I were there to accompany Mr. Ware, we just sat there listening until someone [Peri?] got the bright idea of enlisting one of us to perform the song “Today’s List.” Ken Heaton had written perhaps the song most directly redolent of Ron in that he made a simple groove for the album and had a recitation over the top consisting of one of Ron’s many hundreds of emails that we all received on a weekly basis; outlining the almost maddeningly diverse musical acquisitions of that weekend. 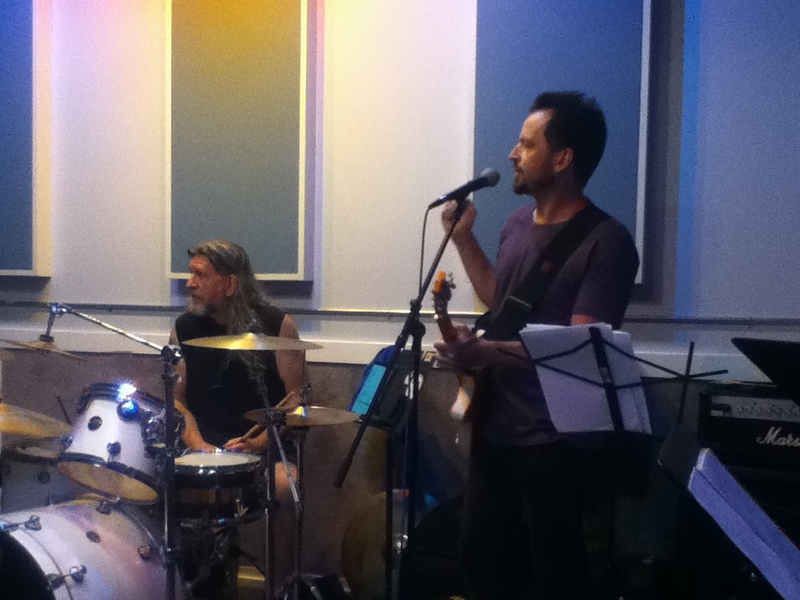 For the first time ever I was at a mic with a band behind me. Do not get used to this! As I had never heard the backing track before, it was extremely improvisational and I used my “announcer voice.” Yessss! Finally a legitimate reason for me to do so! After midnight, we helped break down and said our goodbyes for the evening. Ron may have been kind of odd, but he surrounded himself with really great people. Bob Gaulke was a few years younger than I was and Ron had truly mentored him from afar by the sound of it. He remarked that meeting all of us was like children learning about dad’s “other family” after he died. Ron liked to compartmentalize, it’s true. We all had pretty much a one-on-one relationship with Ron, whereas I like to mix my friends up and see what results. 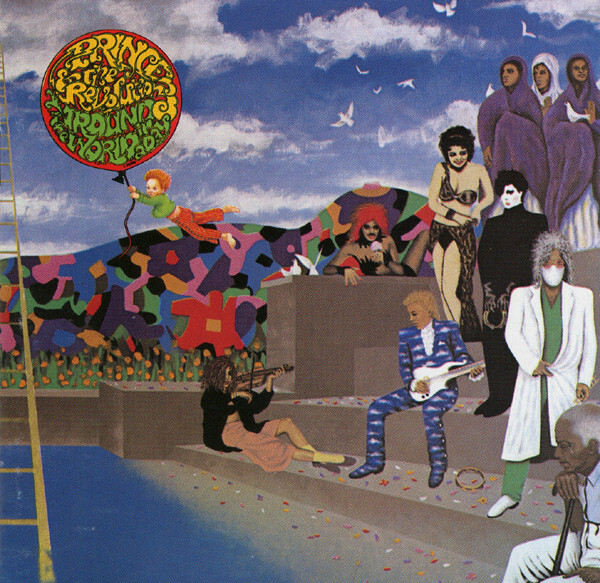 Bob had financed the CD himself because he felt that he had to do it. At least it was on the Dutch charts due to many of the musicians participating. If Ron had been alive to know this, he would have been [quietly, subtly] eating this all up with a ladle. We got back to the garden house and following a very long day, showered up before bed. This took us into Hour 25 before we finally hit the sack. For about five hours. This entry was posted in Bowie, Live Music, Record Shopping Road Trip and tagged 2018, Chasinvictoria, Mr. Ware, Ron Kane, The Record Man. Bookmark the permalink. Really enjoying these! Great getting to know you! Cary – More than likewise! Thanks so much for your logistical and organizational input. You made the shows happen and we salute you. By the way, we were all highly impressed with The Wayfarers! Is there anything newer than your 1986 LP out there to listen to? I have a line on a copy of that one, but do you have any spare copies of the “E$peranto” 7″ laying around as I don’t think I could ever afford a copy! Any clues as to why it’s selling for three figures? If I remember right you once mentioned being a vegetarian…..so I doubt you could comment on that very tasty looking Cuban sandwich on the menu at the place you had dinner at. Yeeeeaaahhhh, the dinner I was planning on making just isn’t sounding that good anymore after looking at the photo of that bad boy. Tim – They have a “Cuban Goes Bananas” sandwich that is lip smacking. Throw in some black beans, rice, and platanos and we’re done. I’ll take one of each for delivery please, any idea on how long that’ll take to Wisconsin? When I worked in our city center one of my favorite food carts was Cuban. Ahhhh the days of food carts for lunch…..
Tim – This is the closest Cuban food to Asheville. There have been bogus Cuban or Cuban/Caribbean eateries here but really, Cuban staples [black beans + rice, platanos, boiled yucca w/mojo] are most of what we miss from Orlando. There are a few friends left there, of course. The Wares and The Carrs primary among them. Poke turned out to the perfect light-ish dinner for our very long day, which at least for me consisted of eating airplane or airport food most of the day. LA at night in July is very pleasant (especially if you’re not doing a lot of driving). Unlike the Monk, I spend not a little bit of time in various rehearsal spaces for theatre and music, and yes even by my standards it was cramped in there, but very pleasant and a true delight getting to see both the people we already knew and the people we were just meeting in person for the first time show off their musical chops! 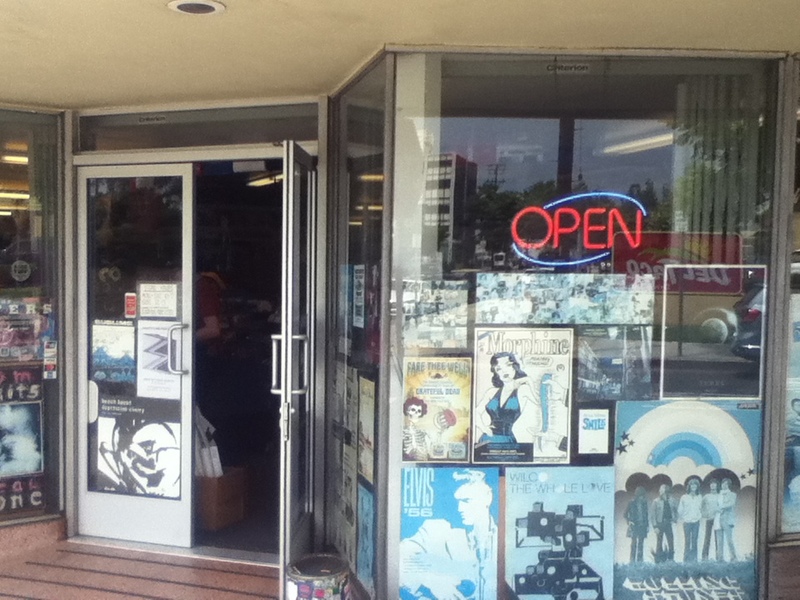 Soundsations is a small but nicely eclectic store with friendly staff, cool posters, a welcoming vibe, and some real finds fairly priced. Recommended for readers of this blog who find themselves in the Westchester area of LA (and the Coffee Company cafe we ate breakfast at at the end of that row of shops is also highly recommended — I’ve previously eaten there on other visits, and the only time one might avoid it is during the after-church Sunday brunch period. Excellent food and service at great prices. Gavin – I am uncomfortable about putting my face all over my blog. It’s… unseemly. Plus, I prefer to have as few images of me on the internet as possible because “privacy” is priceless in this social media/high-surveillance era.